The original number one selection has dropped to number two. The initial holder of the sardonic title of “the most deserving band or artist who should be in the Rock and Roll Hall of Fame who is currently not in”, may once again top our list despite being a band with limited commercial appeal; weak North American sales; are largely unknown to most people, did not speak English as their first language and quite frankly has a remote chance at best to receive induction into the Rock and Roll Hall of Fame. These German innovators may define best the Rock and Roll HOF’s induction criteria, which includes “the influence and significance of the artists’ contributions to the development and perpetuation of rock and roll”. Wait, why did they drop from the top slot again? Sooner or later, a BritPop band will find a representative in the Rock and Roll Hall of Fame. 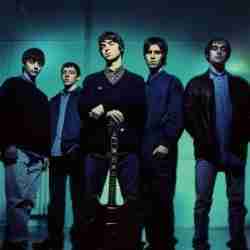 While there have been some very important groups that debuted before Oasis the odds are strong that this is the band that will go in first. 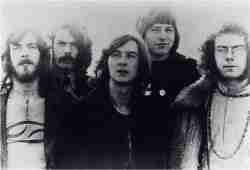 For years there has been a lack of Progressive Rock acts in the Rock and Roll Hall of Fame. 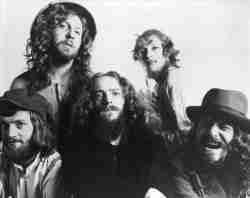 The bulk of that genre originated in the United Kingdom and it is there where we make our next selection, Jethro Tull. 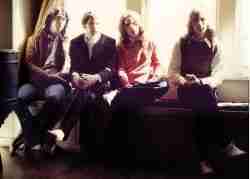 However, like many other British Progressive Rock bands they are on the outside looking in. The next group is a band that has been considered one of the most important groups of the 1980’s. Although, The Smiths were a far bigger deal in their native England than they were on the other side of the Atlantic; though finding many passionate fans of The Smiths in North America is far from difficult. When the NIHOF committee got together and threw around adjectives to describe the musicians on this list the word “revolutionary” was mentioned quite often. Revolutionary certainly fits the music of MC5 (The Motor City 5), but this could be the only band that actually wanted to start a political revolution one as well. 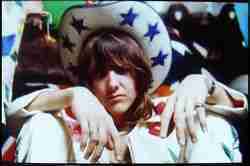 With three nominations in the past ten years, it could be argued that Gram Parsons could be considered a future lock for the Rock and Roll Hall of Fame. 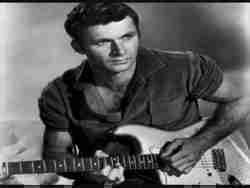 Considering that Parsons is considered the father of Country Rock there is a good chance he soon will. With our tenth selection we know that we are again breaking traditional Rock protocol. However, sometimes an artist just has a certain intangible that just makes you like them even though his music sounds like nothing else in your CD (now MP3) collection. 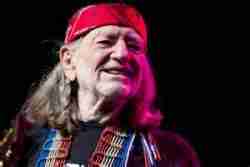 We here at the Not in Hall of Fame can’t help but think that Willie Nelson is one of those artists. When the NIHOF committee gathered to discuss our next entrant we did what we could to forget the terrible Mark Wahlberg movie (Rock Star) that was loosely based on them. 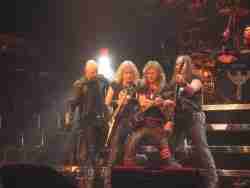 Instead we chose to focus on how important Judas Priest was in Heavy Metal’s progression. With our sixth selection we had a bit of an internal debate. We were very tempted to merge the work of Joy Division and New Order to form one entry. There is a precedent for this as the Rock and Roll Hall of Fame collectively inducted Parliament and Funkadelic but unlike the aforementioned Funk outfits, New Order began when Joy Division ended and their sounds were different enough to illicit separate entries. Had this been a list of who should be in the Rock and Roll Hall of Fame with the ability to amalgamate the combined categories of performing, songwriting and producing it would have to be believed that Todd Rundgren would easily be in the top ten of this list. As it stands, the Hall does not combine those categories and chooses to induct each category separately. Needless, to say we are ranking the same way. 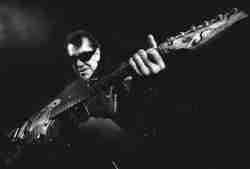 We at NIHOF were pleasantly surprised by the recent induction of the Ventures to the Rock and Roll Hall of Fame. Although we were happy for them, we couldn’t help but feel that someone else who represented the Surf sound should have gotten in there first. The discussion of our next band generated a few embarrassing admissions. A couple of us acknowledged that they first discovered T.Rex with the Power Station’s somewhat capable cover “Get it On” in the mid 80’s and accordingly worked our way backward. Regardless, of how we discovered them, we are all glad we did. When the Alternative scene exploded into the mainstream many pointed to Seattle as the origin of it all. Funny, how many of those bands pointed back East to the Pixies as the group who was really responsible. Considering the amount of Progressive Rock bands on this list and the lack of Progressive Rock representation in the hall we have often wondered if any of them will ever get through. Despite the relatively high ranking we are giving King Crimson and the high regard they are held in many circles, this is likely not the band that will break down the door for the rest of the genre. With this selection, we approach an artist who we just couldn’t figure out where to place; or even if we should place him at all. Was John Coltrane right for the Roots and Early Influence category? 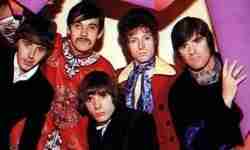 We didn’t think so as his greatest success and period of influence was simultaneous with the British Invasion. Does Jazz have a viable place in the Hall? 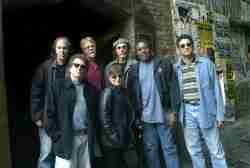 We think so, as Miles Davis is in and many a Rock genre is Jazz infused. Besides, if any Jazz great had a “Rock Star” quality, it was John Coltrane. Some of the artists on this list seemingly exploded out of the gate with an album that told you that they had the potential to be something special. 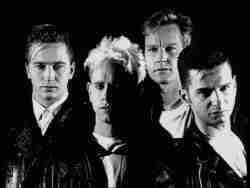 In looking back at Depeche Mode, none of us in the NIHOF committee really thought that the band that gave us “Just Can’t Get Enough” would be a band that would have a potential Hall of Fame career. As seen with our sixth selection the NIHOF committee elected to separate New Order and Joy Division. We may reevaluate that decision one day, but considering the separate “life of its own” that Joy Division appears to be garnishing lately; it made more sense to us to create individual entries. The NIHOF Committee knew that we had would be placing many artists that achieved limited commercial success. 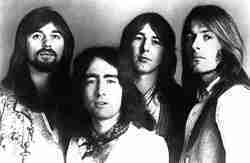 Yet when we looked at Big Star, we just couldn’t figure out why they never did hit the mainstream. Had they achieved more than just critical acclaim, they would likely be in the Hall already. 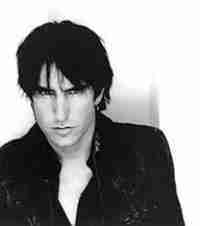 Trent Reznor (Basically, the only official member of Nine Inch Nails) never laid claim to creating the Industrial genre. We will say however, that this is the man that popularized it and gave it just enough if a pop sensibility to make it popular in the early to mid 90’s. As this was the decade where everything “Alternative” was given a chance, the brooding star took advantage of the opportunity and generated some of the best live performances of the past two decades. In earlier selections the NIHOF committee debated the merits of artists who never had success commercially be it because they were ahead of their time or just did not receive support from their label. 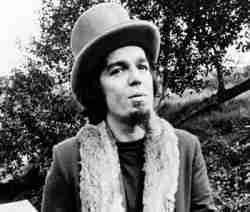 In the case of Captain Beefheart there likely was no point in time (past, present or future) in which he could have been a commercial success. Quite likely, the Captain could probably care less. 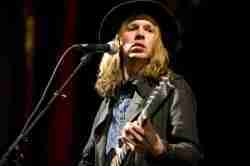 Many of the musicians on this list create a polarizing opinion as to their “validity”. 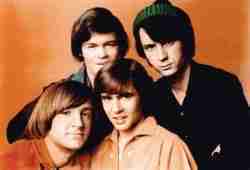 In the latter half of the 1960’s, there likely was no group that separated fans as much the Monkees did. 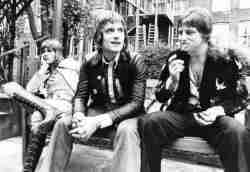 Their bubblegum image and status as a corporate creation were labels that they couldn’t shake, and despite the fun solid music they made they were a group that was not considered “cool” at their height. At some point the Rock and Roll Hall of Fame will have to address the Brit Pop phenomenon of the 1990’s. Although Oasis is most likely to get that nod from the Hall (should it ever come and based on the way the Hall has treated the British heavyweight from the 1980’s), Blur could be the band that gets it in their place. Blur may not have rivaled Oasis in American success, but they matched them in England note for note, and in some circles are considered the superior of the two bands. They survived the demise of Brit Pop with Lo Fi endeavors and with Damon Albarn’s side project of Gorillaz remaining strong, his profile (and by default, Blur) might be strong enough to net an induction when eligible. Some bands just have an iconic status without really trying to. From the unique way that lead singer Lemmy sings upright into the microphone, the umlaut over the second letter ö and their biker look, Motörhead may be more recognizable visually than audibly by those whom are unfamiliar with the British rockers. 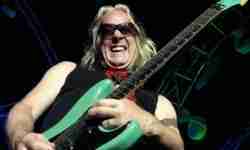 Of course, fans of Motörhead could never confuse them with anyone else. Welcome to the first true heavyweight entry of the Grunge question. The question is not whether a Grunge associated act will get in; because one will. The question is how many, and does the Hall have a quota. 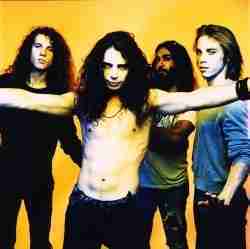 With Soundgarden now eligible, we are fascinated to see what will happen. As shown by our earlier and later inclusions we don’t have a problem listing artists (in varying capacities) twice. 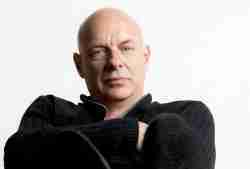 Already on this list as a member of Roxy Music, Brian Eno would probably be in our top five should we ever get around to listing producers but for now we will settle for a solid top fifty rank for his solo work. The Singer/Songwriter movement of the 70’s produced many great artists. Although, our next selection, Warren Zevon is primarily known for just one song “Werewolves of London” my many people, a deeper look at his career shows a man who was among the most respected of his genre. The Progressive Rock question returns again with an act that could have had the biggest hit of the genre in “A Whiter Shade of Pale”. That song may not only have been Progressive Rock’s biggest hit; it may have been the first real one too. If any band on this list might get in based on the sum of their parts, it could very well be Bad Company; considered one of the first true Supergroups of the 1970’s. Coincidently, it might be their best way to get in too. 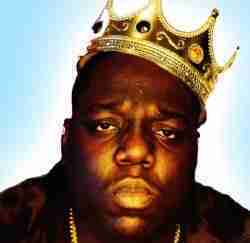 There has been a lot of debate as to whether Hip Hop belongs in the Rock and Roll Hall of Fame. To us at NIHOF, we believe it does belong and with the past inductions of Grandmaster Flash and Run D.M.C. it is clear that the Rap question has been answered. Had we launched this site two years ago, Run D.M.C. would have made our top ten, but with that being said, the man who predates Run D.M.C. and The Beastie Boys (a top ten selection) will likely have a secure spot in our top twenty until his induction. We find that with our next selection that some things just don’t translate; even if it is in the same language. 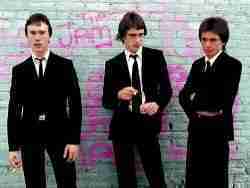 The music of The Jam fits that description, because as huge as they were in their native England, they just couldn’t find a substantial audience in North America. Many a Rock Star likely grew up with dreams of becoming one. In the case of the Replacements, we wonder if they dreamed about how to screw it up. Weezer never looked like Rock Stars, and there in may have laid the charm of the what are the geekiest looking musicians of the last tthirty years. With catchy guitar hooks riddled with tales of nerdy love, Weezer became an instant sensation. Interestingly enough, even their failures have become successful. Their maligned sophomore album, Pinkerton, was destroyed by critics but has since become a beloved cult album and to some, a huge influence in the Emo sound. Weezer very well could have a successful path to the Rock and Roll Hall Fame with their Alt-laden Pop. 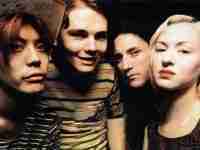 Easily one of the most important Alternative bands of the 1990’s, the Smashing Pumpkins were able to become Alternative stars without sounding like the Grunge stars that they were often lumped in with. The Pumpkins could master varying emotions effortlessly easily delivering songs with unparalleled sorrow to tunes of blistering rage. They delivered these skills to the video medium, and their overall videos of the 90’s are on par with any other band that could be named. Billy Corgan and company may not get in on the first year of eligibility, but for a few years they were right there at the top. This could be anywhere from a quick induction to a twenty year wait. The Rock and Roll Hall of Fame contains many an artist flying the Motown flag. Motown certainly became a star making label and under their label many legends were born. 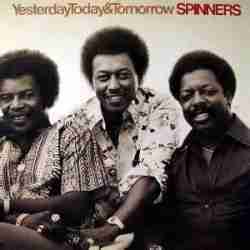 With that being said meet The Spinners, a band on this list who actually became stars once they left Motown. 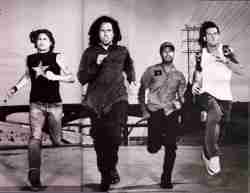 Although there have been many bands who have been politicized, it is possible that there was no band that did it in a more fierce and “in your face” fashion than Rage Against the Machine. 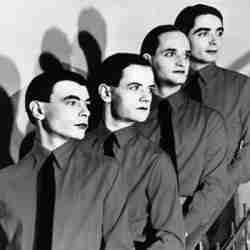 Their leftist leanings were far from subtle and their music followed suit. They effortlessly combined Rap and Metal and to many in the 90’s, they were the true “Alternative” to Alternative. For RATM to get in, it would have to be in the strength of their 90’s work as they were basically dormant in the decade that followed, though having Tom Morello on the Rock and Roll Hall of Fame committee surely doesn’t hurt their chances. Is it possible to be important to look like a Rock Star than to actually sing like one? With Pat Benatar, there was no question that she looked like a Rocker, and her early 80’s music was certainly Rock as well. We wondered aloud though, if she didn’t have the look she did, would we know who she was today? How many artists on this list have melded multiple styles that resulted in unique music and critical acclaim? Quite a few of course, though if we had to subject one on this list that may have combined the most styles, Little Feat could be that candidate. There is no rule in music that says that you have to be a commercial success to make a difference. Hüsker Dü fits that category as they were considered influential by countless bands though they themselves never really broke past cult status. We can hear the groans with this selection already. Chances are that if you were a music lover in the 80’s you either loved this band or despised them. If you loved them, you likely had teased hair and envisioned “LeBon” as your future last name. If you hated them, you likely spent a lot of time in the smoker’s pit with a cheap ghetto blaster blaring Heavy Metal. Coincidently, the NIHOF committee had both representatives. 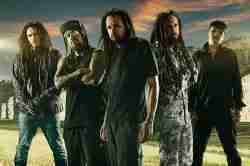 When it comes to passionate fanbases there are few that can match up with Korn, the Nu-Metal band (a label they are not fond of) from Bakersfield, California. In the first decade of the new millennium, the medium of television became overrun with reality television. Other portions of this website may discuss the merits of reality T.V., but never have we had felt the need to incorporate that discussion in terms of the Rock and Roll Hall of Fame. With Ozzy Osbourne, we may have to reevaluate that position.